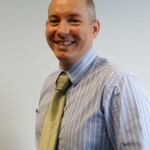 Paul Rice is the Head of Technology Strategy in the Digital Health team in NHS England. He leads the team that is instrumental in delivering a digitally enabled and “paperless” NHS. For the past two years he has overseen delivery of four major capital funds worth in excess of £300million that help the NHS build the capability to introduce integrated digital care records and enable nurses to transform practice, enabled by technology, to “release time to care”. Paul was a major contributor to the National Information Board’s roadmap document, Personalised Health and Care 2020 – published last November – the first articulation by the health and care system of its commitment to release the benefits of digital technology, data and intelligence. He is currently leading one of the key delivery work streams. Paul was formerly the Director of the Long Term Conditions programme in Yorkshire and Humber with a particular focus on Telehealth. He has been a Primary Care Trust Director, a transformation director in the NHS Modernisation Agency and a policy lead in the Department of Health. He has published and spoken widely on the challenges and opportunities to deliver high quality, efficient and effective service models utilising assistive technology/telehealth/information technology. Paul holds a first degree in Law and Accounting and a Doctorate in Medical Law and Bioethics.